Heading out on Wed for Disney. Is this in your ridemax plans for it to be so busy? thanks for the update. We are actually going to be at Disneyland Oct 23 to 31. Hoping things quiet down by then. We put together a plan for Monday the 11th and the wait times don’t look bad. Does your current data take into consideration the crowds you’re mentioning? Trying to decide whether to keep or skip the trip. Thanks. Matt, we’re basically using “summer-level” estimates for Monday, so the software is definitely using higher estimates Monday than if it were just a normal off-season weekday. If you’re not seeing high estimated wait times, much of this could be due to the optimization RideMax is doing, as well as having the plan start right at park opening time, when the crowds are lower, and the plan is able to take decent advantage of FastPass. I’m guessing if you ran a plan that started at, say, 10:00am instead of at opening, you’d see some longer estimates! We have “give a day get a day” vouchers for Disneyland which we need to swap for tickets before entering the park. Do you have advice for the most efficient way to do this first thing in the morning? We are from Utah and heading to Disneyland to meet family (from WA and OR). We are leaving Thursday and spending Friday and Saturday at the parks. We will have a party of 10 people. One with Down Syndrome (45yrs), one 3yr old. Two other kids that are 7 and 10 yrs. Do you have any suggestions that are different then listed on your tips and blog that might hlep? Especially with a special needs person. He can get overwhelmed and just stop in his tracks and not budge. Thanks for any info. you might have. Is the number of people why Oct. 18th, a Monday, is listed as a magic morning? Does the software account for this change to their normal magic morning schedule? I didn’t realize that many of the rides are open during the Halloween Party on the DL side. Do you have any suggestions for which rides to hit (or which might be open/closed those nights). We will be there October 29th-31st. Thanks! PS. I heard if you have a Halloween Party ticket, you can get into the park 3 hours before the party starts… So why waste a day on a regular ticket, if you’re planning on heading to the party, right? It is a pretty comprehensive review…. There is a park map and she lists the rides that were open, among other things, during the party that she was at the night of October 1st. 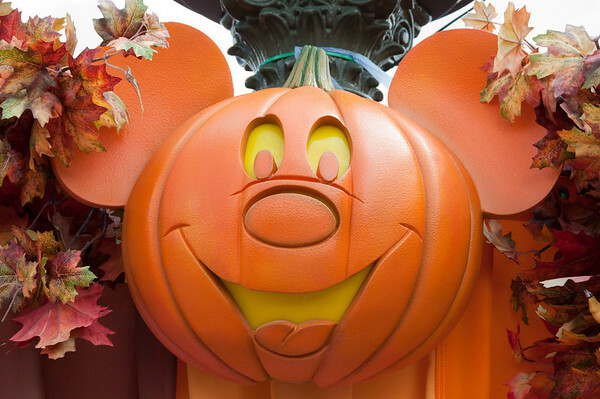 As with anything Disney, they have the right to open and close things at a moments notice…..
We’re going at the end of the month, Oct 30/31, what do you think the crowds will be like on the 30th? Also, is it a bad idea to ride the monorail from Downtown Disney to Tomorrowland for Magic Mornings? And for Connie, we just updated RideMax to flag Monday as an Early Entry day. If you’ve already created Monday plans for Disneyland, we suggest creating them again. We were at the DL on Thursday… crazy crowds… I was amazed! It looked like a Saturday in July! I could hardly believe it. We ran into several families who were at DL (closed @ 11 pm) on Thursday because it had longer hours than DCA (closed at 8 pm) and were planning on being in DCA (close @ 11 pm) today because they had longer hours tonight. Ridemax worked like a charm! Thank you, again! It will definitely be crazier today! Thanks for taking the time to stop by and report, Carrie! Good luck with the “perfect storm” day today — especially this evening! Great! Thanks Mark and Carrie! You guys are awesome! Friday crowds at DL were crazy! By 11am it looked like it could have been 2 pm. Fast passes for Space Mountain were distributing for 6:30-7:00 at 10:30 am… it was raining at opening but didn’t seem to slow the crowds at all. Except that it might have kept some of the locals home. We left extremely long lines everywhere at 12:30… Went back to the hotel for a nap and came back at about 3 pm for the Halloween Party. At 3pm there were still fast passes left for haunted mansion and Splash Mountain… but they were the last of the bunch. Not sure about some of the others… but Space Mountain were long gone. All I can say is WOW! The Halloween Party was a little more crowded than last weeks but still manageable. We waited very little for any of the rides we rode and riding during the first “parade” was the best. After the fireworks, people made a mass exit and the park seemed deserted. I didn’t even bother going to DCA. But when we came out of DL at 10:15ish it was a wall of bodies coming out of that park. I don’t think I’ve ever seen that many people coming out of there when they weren’t exiting after World of Color. The second WOC show didn’t even start until 10:15. Thanks for the report, Carrie! It sounds like you made a good choice staying in Disneyland for the party! If you’re concerned about arriving in the park at a specific time, I don’t recommend relying on the monorail. I’d suggest simply walking to the front gate instead. Just finishing up 4 days in the parks. We had 11 of us in our party including 5 children and two ladies in their mid sixties. Wednesday, Ridemax worked like a charm. Thursday we arrived for early entry by 6:45 (a small miracle) but did not even get in the gates until 7:15. It was a MADHOUSE. We had to drop Peter Pan, dumbo and Mr. Toads due to the lines. We left after lunch and then returned to DCA for the world of color. CROWDED. Friday we spent at DCA. Toy Story was our first ride at 10:04 but it was down. We avoided the crowds somewhat by riding the the smaller rides at the pier. There were so many people it was hard to even move around the park. We were able to do most everything including Aladin and the parade but was stressed out most of the day due to all the people. Ridemax had us using our Tower of Terror fast pass at 6:30 (which was going to be our last ride) but because it was so busy we could not come back until 8:45. We arrived at 8:40 and were told we would have to wait 5 minutes! The standby line was 120 minutes! Saturday at DL proved to be a disaster. We arrived at 10:00, sent our runners for fast passes but Space Mountain was down so they had to wait before they could get their passes. The rest of us enjoyed Winnie the Pooh and the shops in the area, met up with the rest of our group and went on the Mark Twain and had lunch on Pirates Lair…it was HEAVEN. No crowds and the kids had a blast! One last stop for a Indiana Jones fast pass and we headed out. Came back at 6:30 and sent our runner to get Haunted mansion fast pass but they were out. According to our plan we should have been able to fit in at least 9 rides between the hours of 8:00-11:00 but there was NO physical way of trying to get around all the people to make it on time. We were able to go on a few but it was mentally draining to tackle all the people. The night ended with the promise of ice cream but as we neared the ice cream shop on Main my heart sank as I saw 40 plus people in line…at 11:00pm. My middle son left in tears, my youngest passed out in the stroller (having only gone on two rides in a 4.5 hour span) and me aching for a do-over. We had chose to forgo the fireworks and Fantasmic to do more rides, but now wish we had seen the shows. Our family used Ride Max 4 years ago in and did not have any problem. This trip was was a long time in the making and we tried to pick the “perfect” time to go. I checked all the blogs, websites etc and never once heard of UEA or Fall Break. Two weeks before we came I caught wind of it and was crushed. We are from WA and this trip was something my sister and I had talked about since our kids were babies (ten years). I wish I was forwarned instead of being told that Oct was a slower month… On a positive note, we were able to go on most of the rides (never made it on Dumbo or Peter Pan) and we enjoyed some wonderful family time together. However, I will NEVER go again during UEA and/or Fall break. We spent Monday afternoon thru Thursday in the parks. This is our 4th trip during AZ fall break and really didn’t think it was much busier than normal (We normally go 1 week earlier). Monday, which was Columbus Day, we got on Matterhorn and Dumbo around 6pm with 20 minute waits. For fireworks, we got the spot right behind the rope at the end of MS only 20 minutes prior to show. Tuesday was awesome!! We did almost every ride in Disneyland in the 1 day! We’ve mastered the FastPass system with the help of RideMax over the last few years and made the most of it. Wednesday we went to DCA and that was a let down. Toy Story and GRR were down which nobody at the front bothererd mentioning. We lost 2 hours of precious time at the park, but managed to make the most of it that afternoon at Disneyland. Thuirsday we did GRR twice with absolutley NO wait. Toy Story lines were 90 minutes which we haven’t seen since it opened! We skipped it as we’ve been on it before and we’ll be back in Dec anyway. The rest of Thursday we spent at Disneyland doing all our favorites again. Over the 4 days, we never waited longer than 25 minutes…even on our second run of Peter Pan on Thursday evening! Final tally per my son…Indy 5 times, Matterhorn 5 times, Thunder Mnt 4 times, Autopia 3 times and the remainder of the rides twice…including Space Mnt. Peter Pan, Dumbo, Haunted Mansion, Pirates, Sourin and GRR. Thanks RideMax for all your great tips. We got annual passes this year and purchased your service for the year as opposed to the 3 months. Our favorite part is the Tips and Hints! BTW- if you have any contacts at Disneyland, it would be nice if info on “broken down” rides appeared at the front gates. Having to walk across the park to find out about a temp closure really stinks!! During our stay, GRR, Toy Story, Matterhorn, Splash Mnt, Thunder Mnt and Indy were closed at some point for “technical difficulties”. It would be much more convenient to know that at the gate!! Thanks again for all your research. Joanna and Lauren, comparing your reports, it sounds like earlier in the week was definitely better, and as we suspected, the UEA crowds on the weekend really boosted the attendance! For Joanna specifically, as you know, we were expecting very heavy crowds over the weekend, and RideMax was using many wait time estimates normally associated with HOLIDAY-level crowds, such as you’d find during the busiest week of the year. If the Haunted Mansion FastPasses were gone when you arrived Saturday evening at 6:30pm, it really says a LOT for the crowds that day! It’s also possible there was a glitch in the ride earlier in the day, which may have pushed the FastPass window out to later in the day than normal, but it’s also possible we just plain under-estimated the FP demand that day, despite using these already VERY high estimates. If you feel that overall you didn’t receive sufficient value from the software, please let us know and we’ll cancel/refund your subscription for you. If any other readers were in the park Saturday morning for Early Entry itself at 7:00am, I’d like to hear from you! I’m wondering if there were enough exhausted guests from the night before that it helped to minimize the crowds, or if you still found the Early Entry hour to be very busy! We found out by watching the news that not only were UEA and Arizona on break but there was also a Fundraising event on Sunday morning the Disneyland CHOC Walk, Sarah Palin had a rally on Saturday night in Anaheim at the Marriott, there was the Long Beach Marathon on Sunday (90,000 people, not including runners), and an Aids awareness walk in Hollywood on Sunday…. I really think the CHOC walk is what put it over the top. They had 14,000 walkers in the park on Sunday morning to participate in this annual event. YIKES! Saturday was CRAZY at the parks and I for one will NEVER be doing this again! Saturday was soooooo exhausting! We really weren’t even trying to ride any rides just do a little shopping but it was too crowded to move. I have visited the parks a lot of times but have NEVER experienced crowds like these. It was TOTALLY the “PERFECT STORM”!!!! We were at the park on Wed., Thurs. and Fri…DL the first two days, DCA on Fri. Wed. and Thurs. were GREAT! We got on many rides multiple times (Haunted Mansion 5 times, Splash Mtn. 3 times, Indiana Jones 4 times, Space Mtn. 4 times, etc.) because we utilized the Fast Pass system to its fullest. At one point I had 6 fast passes to 6 different rides!! We were even able to get on Nemo in the afternoon after waiting only 20 minutes. The longest wait we had was for Peter Pan during our Magic Morning…we waited about 30 minutes. Friday was a different story all together. We got to DCA at 9:30 to find people streaming in. We went to get Fast Passes for World of Color only to find a HUGE line. I stayed in line while my family rode Soarin’. I got tickets for the 9 PM show, then we headed back to Toy Story. We waited only about 30 minutes so not bad. After that, we again exploited the Fast Pass system and were able to get a bunch at the same time. All in all, we rode Soarin’ 3 times, Screamin’ 5 times and many other rides multiple times. We never made it to Tower of Terror, though I would’ve liked to have. World of Color was so-so. The show was great, but getting to it was a nightmare. There was a CRUSH of people and by the time we got to our area (Red) we were standing in the wet zone, only my girls were too short to see over everyone. I ended up holding my 43 pound daughter for the entire 27 minutes…NOT pleasant. My husband and sister-in-law passed my 70 pound daughter between the 2 of them. Overall, DCA was SUPER busy and all the people made it somewhat claustrophobic, but we had a GREAT time and love Ride Max! Saturday morning at DL was not crowded at all, walked onto Nemo, Buzz Lightyear, Splash Mountain, Pirates, not too long a wait for Peter Pan or Dumbo, Fastpass for Haunted Mansion. Sunday at DCA only had to wait for Toy Story, only crowds were leaving Aladdin which was just wonderful. All the cast members were great, the whole Disney experience is better than I had remembered. Previous Previous post: Give-Away: Final Day! Next Next post: RideMax: But What About Spontaneity!? ?